California-based guitarist Christopher Willits begins to settle near the shores of pop with the elegiac Surf Boundaries. On this breakthrough LP, Willits merges the rich and delicate patterns of his signature guitar sound with treated strings, brass, and 5-part vocal harmonies for a unique sonic vision that draws upon elements of shoegaze, jazz, ambient and noise. Recorded during the rise and fall of an intense personal relationship, the album's spectrum of emotions naturally emerged from the sea changes of lovers' boundaries, and the ultimate necessity of letting go. 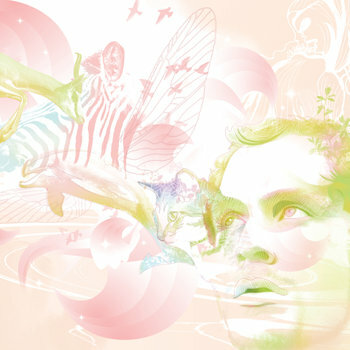 The vocal motif of the aptly titled "Colors Shifting" (sung in multiple harmonies by Willits and Latrice Barnett) appears in three variations, giving the album a rough beginning, middle and end, while other tracks full of electrified drones, intertwining melodies and smooth guitar loops weave into the album's structure seamlessly. Named “the center cell of a complex indie rock-avant-garde-electronic art Venn diagram" By the SF Weekly, Christopher Willits proliferates artistic diversity in a unique context (as also seen in his collaborations with Flossin (w/ Kid606, Hella, Matmos), Brad Laner, Taylor Deupree and Ryuichi Sakamoto). In these 12 tracks, Willits' view is so broad that anything becomes possible inside his unique vision of organic electronic music. The process of creating this music was his most mysterious yet: "I felt like i was just along for the ride as I gave the music space to breathe and do whatever it needed to do". voice on 2, 3, 8, 11, 12. and keys/synthesizer on 2, 3, 6, 8, 12. Latrice Barnett - voice on 2, 5, 8, 11, 12. Gabriel Coan - drums on 2, 7, 8 . Brad Laner - guitar + noise on 4. Adam Theis - trombone on 1, 3, 8, 11, 12. Alison Sawyer - french horn on 2, 12. Sam Ospovat - drums and percussion on 3, 11, 12. Joerge Boerhinger Viola on 2. Ben Tuttle Vibes on 11. Christopher Willits, Tyler Green, Ian Calhoun - percussion on 3, 12.